We are so glad that you stumbled upon our blog and CANNOT wait to get to know YOU! 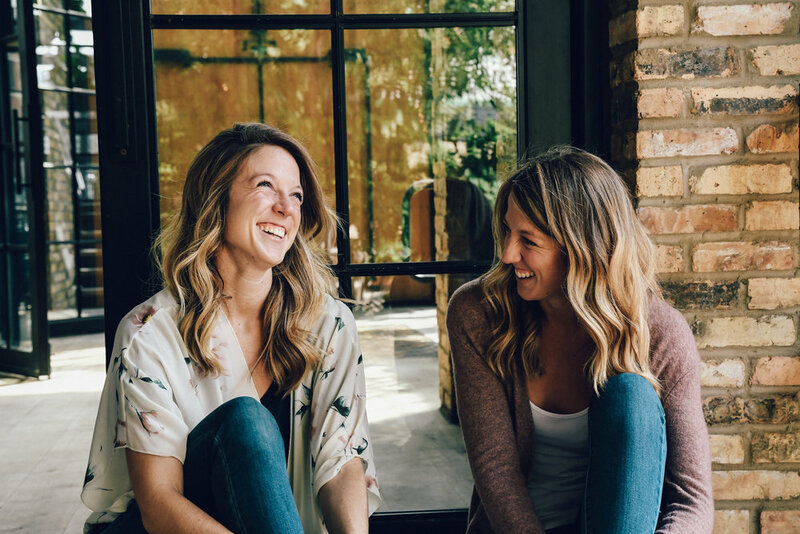 We are excited to share with you different aspects of our lives, the things we love, the things we can’t live without, and of course our holistic hippie lifestyles!! We want you to fall in love with taking care of yourself—Mind, Body, & Spirit. To start, I’m Erin, some people tend to confuse me with one of the other writers on this blog—Elizabeth. I don’t see the striking resemblance, but many do 🙊 . I consider myself to be a holistic hippie chick! I have a love for nature, energy, chakras, intuition, and natural healing! I like to think my intuition is my favorite superpower 💁 👊 . I wouldn't say that my life has always been this way. You see, I grew up in a small town where playing sports and being outside was all that I knew. I would spend hours outside. Looking back my energy was fueled by candy, sugar and junk food —not optimal nutrition at all. Is it any wonder that symptoms of ill health starting showing up so young??? Anyways back to my childhood, I used to ride my bike around, play basketball or volleyball, and read a book on the patio — i.e. my favorite summer activity 📚. This is still a passion of mine today and my current book obsession is —Energy Medicine by Donna Eden 💫 💞 . At a young age, I knew that I wanted to be a Chiropractor. I thought the Chiropractor I saw growing up had magical hands. You see, I was prone to twisting my ankles or banging my knees playing sports— I would come home from practice and tell my parents I needed to get adjusted and sure enough the next day after getting adjusted I was back playing pain free. I didn’t know it at the time, but that one small choice changed the trajectory of my future. Fast forward to Chiropractic School — I was getting adjusted regularly, working out, and getting plenty of sleep, but found myself tired, forgetful, achy, and did I mention tired 💤 💤 💤 . I didn’t think that my diet could have an affect on how I felt, but boy was I WRONG. I went gluten free, dairy free, and had the ALCAT food allergy panel ran to see what other foods I was reacting too. Simple dietary changes that have turned into lifestyle changes drastically affected how I felt. Fast forward to 2017 and man oh man do I know what it takes to heal! I’ve come so far in such a short time and I can’t wait to see what the future holds for not only myself, but also for all of you :) We hope you enjoy our blog and we are so excited to share the knowledge that we have with you!